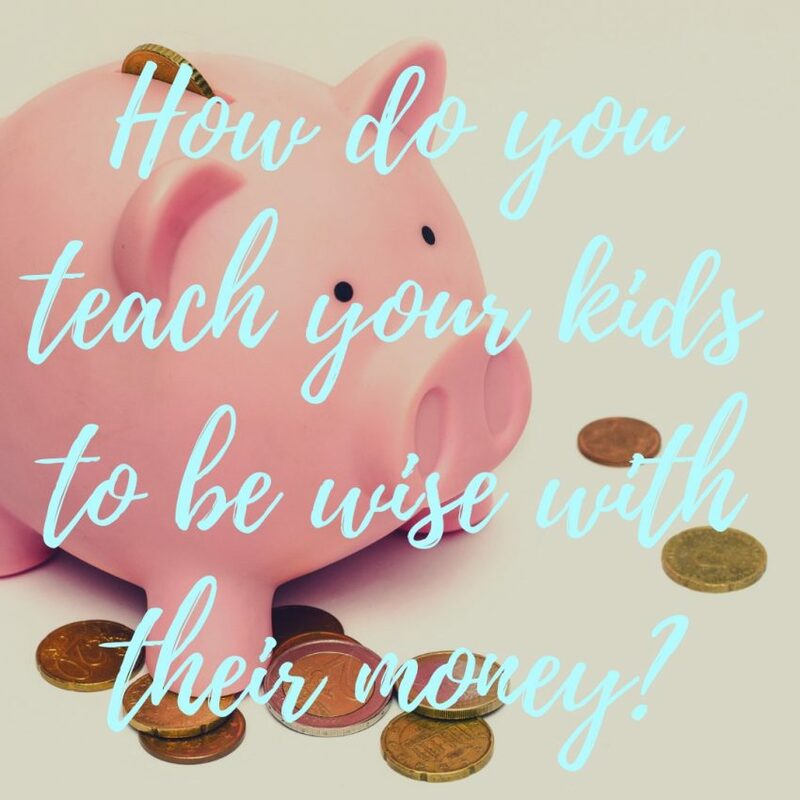 How to teach your family to be wise with money? Being from a large family, I learned a lot of tricks to be frugal with money. I remember each of us standing in line to buy hot dogs and cottage cheese because it was on special-one per customer. My mom also taught me to shop sales and find the best deals. To this day, my mom can still go into the store and find the most incredible deals. We didn’t go on any extravagant vacations growing up, but we made the most of what we did do. 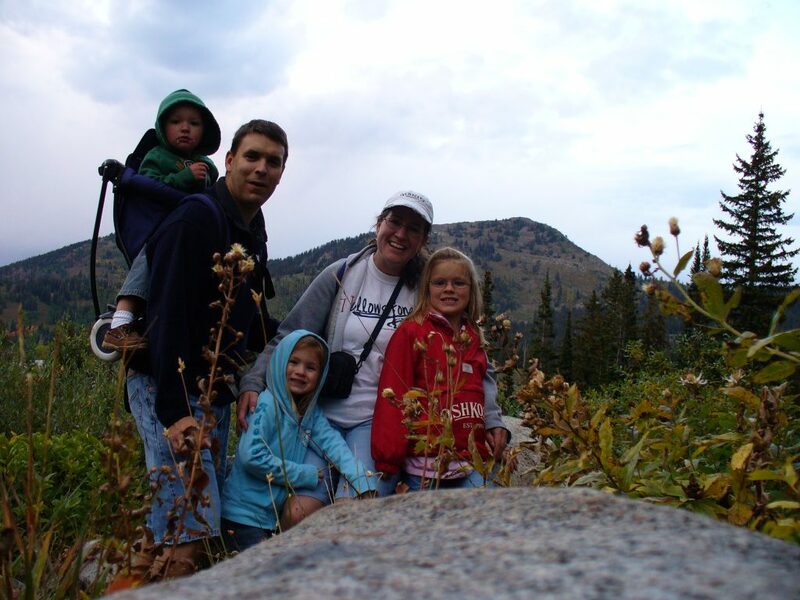 Our trips were usually to the family cabin. We had a lot of fun exploring the mountain and learned to make up fun games to play. 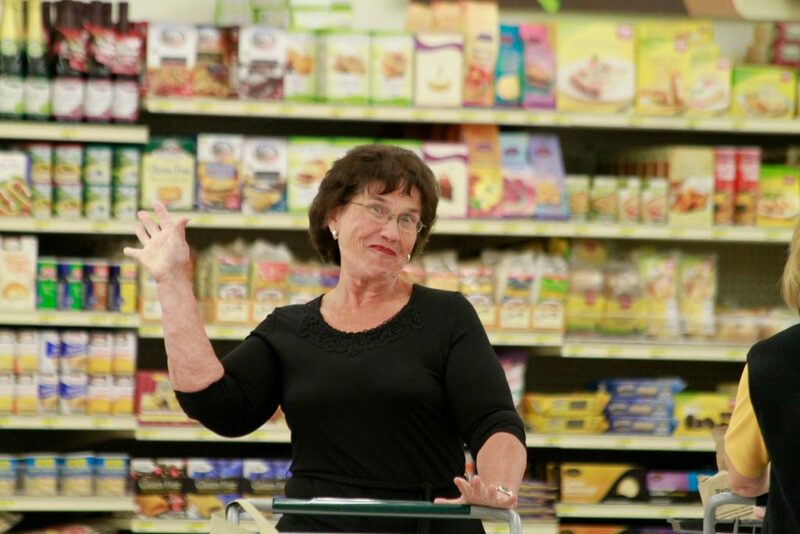 Here is my mom-she really is the best shopper! Do you really “need” it? There are new standards for what we want and expect from life now. Because we have been so blessed growing up, we sometimes feel entitled to have all that our parents had without realizing how many years it took them to get there. When your wants and needs get mixed up-there will never be enough money no matter how much you make! Take some time to truly appreciate your life (not your neighbors), your things, your family, your health. Try to be content with what you have. Also, take good care of your things and they will last longer and you won’t have to replace so many items. That contentment (or lack of contentment) will rub off on your kids. Talk about money with your spouse! Get your spouse on board. BUDGET!!! You and your spouse must be on the same page about money, before you can move forward. You need to discuss money issues and where the funds are going and what the biggest priorities are. We love using the EVERY DOLLAR app for budgeting. It is free and very helpful in teaching how to budget money effectively. I have been a big fan of Dave Ramsey for a while. He recommends that you save everything possible (and live off of rice and beans if needed) until you have paid off your debts and saved 3-6 months worth of expenses. We did that and I can tell you that there is so much peace that comes as you get your finances in order. Your kids will observe your thrifty ways and learn a lot from you. Teach your children to save and spend wisely. Dave Ramsey has a great book about teaching your children. He suggests teaching them young and giving them a small amount of money to learn how to spend it wisely. 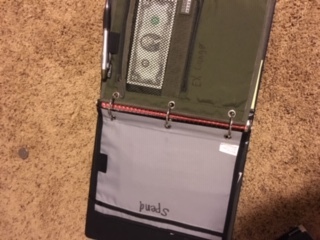 I got my kids a zipper pouch with 3 zippers…one for saving, spending, and giving (like tithing and gifts) We started our kids quite a few years ago and they have been using this system ever since. We also told the kids if they save money we will help them by matching what they put in their savings account. It’s funny once we started letting them have money to use, then the item they really wanted didn’t seem so important if they had to use their own money to get it. Now they research items they want and save if needed for them. I have one daughter that wants to save all of her money so I am trying to teaching her to spend a little. I think there should be some balance in spending and saving. Usually they save 20%, 15-20% to give (like gifts and tithing), and the rest to spend. It has worked really well for them in showing them how to be good stewards of their money. How can you afford a family vacation? It is so important to go on trips together and have some quality family time. I wish we could go on cruises or to Hawaii every year. But the truth is that it costs a lot of money. 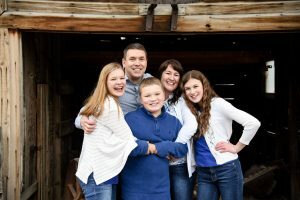 We have found it to be more beneficial for our family to do lots of small trips rather than using all of the funds and vacation days on one big trip. Camping is one way we have found to save money and still have fun. We have created many great memories camping. The kids got used to it fairly quickly and being out in nature and away from electronics, school, and commitments is so rewarding! With a few more funds, we have realized you can get a 2-3 star hotel for not a ton more and you get flushing toilets and a shower. (BONUS!) Most national parks now have hotels/motels nearby and if you plan off times, you can get great deals. Bigger trips (like Disneyland) do cost more money. Plan for them and save the money before you go! Thrift stores, consignment, 2nd hand, yard sales, classified ads…there are so many options for buying things 2nd hand. You can save soooo much money shopping 2nd hand. To find modest clothes-I have to alter pants into shorts or I can make them into skinny jeans fairly easily. I try to go to the thrift store every month. I make a list of things that I need and shop on sale days to get the best deals. I’ve found some really great things. My kids love stopping at yard sales or going to the book section at the thrift store. Be in the know when the sales are. If there is a store you love, I’d recommend getting on their mailing list. Yes, you get a lot of emails from them, but you will know about every sale, free shipping, whatever deals they have. It has proven to save me lots of money. If you have little kids, I’d highly recommend The Children’s Place-they have awesome sales and free shipping. I’m sad my kids are outgrowing this. We are getting into teen sizing now. Any stores that you love that have great sales? Plan weekly meals and trips to the grocery store. One of the biggest ways to save with groceries is to make a list and stick to it. I actually take a calculator with me and add the cost of each item I put in the cart. When I see the running total, I am less likely to put unnecessary things in my cart. Also, plan for your entire week and where you will be each night for dinner…then make a weekly menu and put all of the things you need on the shopping list. Try to only make one trip to the grocery store each week. I find when I go more often, I find deals at every store and spend a lot more than needed. I’ve heard good things about the order online feature at the grocery store. Have any of you tried it? Has it saved you money? How do your kids earn money? Kids need some money to be able to learn how to spend it properly. We pay our kids a small amount for chores and good grades. Our kids haven’t really had a part-time job yet. We told our kids that their first job is to get good grades so they will get scholarships. Currently, they are all getting very good grades so I won’t push them to work elsewhere. Besides watching all the work they put into their AP classes-it seems like a lot more work then a part time job! My daughter babysat last Summer for a family near us. She was able to save some money for her gas and school. We still pay for car insurance, big school fees, and big repairs on the car. If you don’t have kids driving yet, start saving now…insurance is so expensive-even with the good student discount. We have kids in our neighborhood earning money for trips-they make pies and cookies to sell. We have some that mow lawns or clean out garbage cans. Some have made money online-making cute videos. When do you get your kids a bank account? Savings-We opened up a savings account at our credit union for our kids very early on. 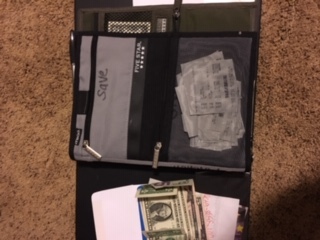 It is great for them to go to the bank and put money in…even if it is only $1. We also opened a larger long-term savings account and a 529 savings account for college. If you can put any money in when they are little-it will make such a difference and adds up to so much more as they get older. We also will match larger amounts in their savings so they are even more encouraged to save. Checking-When my daughter was 16 we got her a checking account with a debit card that won’t work if there isn’t money in her account. She is learning how to budget a checking account to make sure there is always enough money in her accounts. It’s been a great experience for her and she has the convenience of using her card at the gas station. She is also learning how to use the online banking features. Look for FREE activities in your area. We are big fans of the outdoors and look for opportunities to hike and snowshoe. We also love taking walks and bike rides together. Sometimes we’ll just pile in the car and drive to a nearby city to explore a new place. We love to stay home and play games together. We have found lots of free or very cheap Summer concerts and plays. The local museums and zoos offer free days as well. The local libraries host lots of fun activities. Check out their websites. Search for activities in your area. One of my favorites was a professional Shakespeare play that the city offered for free-Taming of the Shrew. It was so well done! I look in the Spring for activities to add to our Summer calendar. Check out your city calendar or Facebook events page. Also, check out local parks and splash pads. We have some great ones in our area! TITHING is the surest way to have ENOUGH! There really are unlimited ways to be frugal and teach your kids to save. I’ve found that they will do a lot of what we are doing- so be smart with your money and set your kids up for success with their money.